HRM active transportation coordinator Hanita Koblents discusses her redesign of Argyle Street. The students, who live all over the region, had never been on this street before. 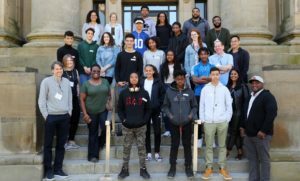 Last Friday, May 18th, the Dalhousie School of Planning was thrilled to offer a workshop for African Nova Scotian high school students in partnership with the Black Business Initiative in Halifax. Eight students attended our workshop on planning and ten attended the workshop on architecture held by the School of Architecture on the same day. Architecture professor James Forren pursued this idea with BBI throughout the fall, and then recommended that the School of Planning get in touch so we could possibly hold a parallel workshop. 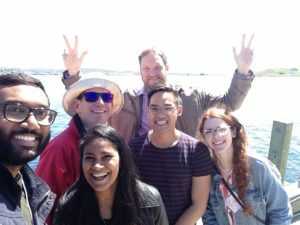 We all felt that this was a great way to introduce high school students to our disciplines, which most of them don’t know about until well into their undergrad degrees; BBI aims to introduce students to non-traditional careers. 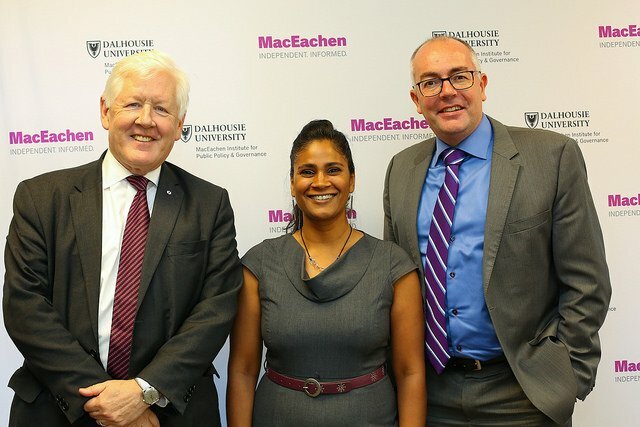 Our sponsors were all thrilled about the event, including our main funder, the provincial government, and the Dalhousie President’s Office, who paid for books for each of the planning students. BBI representatives Laurissa Manning (Director, Stakeholder and Community Relations) and Tracey Williams (Business is Jammin’ Youth Coordinator), some of the parents, and a few of the sponsors observed the event. 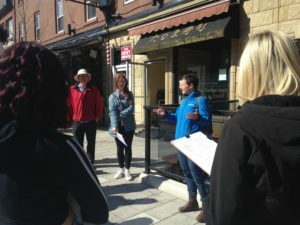 Aaron Murnaghan, heritage planner at HRM, introduces students to some of the historic business district, with the Grand Parade and Barrington Street. For our workshop, we planned a few activities: a brief primer to planning as a field and a mapping exercise that would get the students out into the city in the morning, and discussion in the afternoon. Colleagues Eric Rapaport, Dave Guyadeen led a mapping exercise on four nearby streets: Argyle, Barrington, Hollis, and Lower Water. We chose these for their proximity (Argyle begins just two blocks from our building on Spring Garden Road) but also because they show such a range: Argyle was just redesigned into a pedestrian-oriented strip; Barrington is the narrower, more traditional historic main street; Hollis is the 1950s car-oriented version; and Lower Water is both historic and tourist-driven. 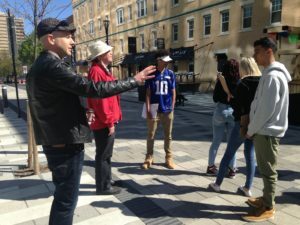 Students were given maps with one block of each street, and we got them to map things like lighting, seating, trees, retail and commercial land uses, and observe the way people used the street. HRM active transportation coordinator Hanita Koblents met us to discuss the redesign of Argyle street which she led, and then stayed to answer questions for the students; for Barrington Street, heritage planner Aaron Murnaghan discussed a bit of Halifax history; and urban designer TJ Maguire showed the students some of Waterfront Development Corporation‘s work on the sea bridge and the famous orange hammocks on the boardwalk. HRM Councillor Lindell Smith dropped in to meet the kids and discussed how community support encouraged him to run for office, and the responsibility he feels to represent the community. 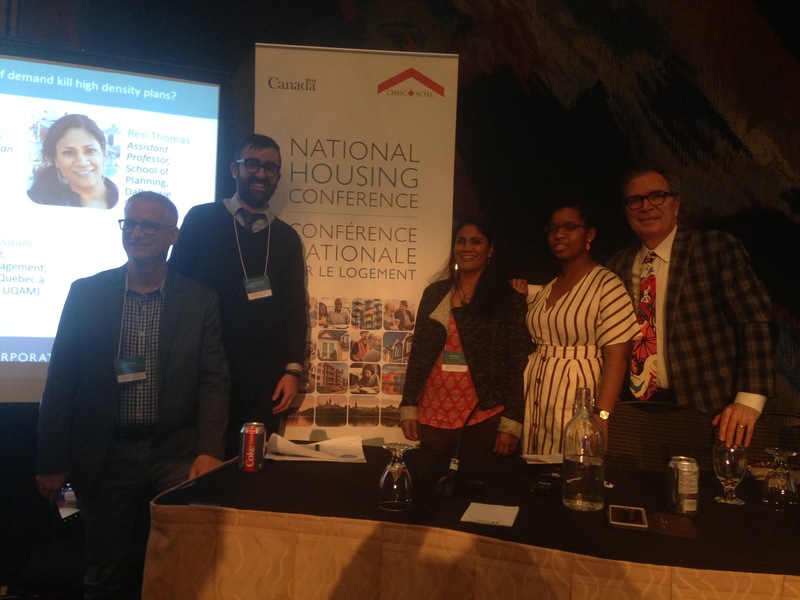 After a lunch break where students got to meet the students in the architecture workshop and representatives from BBI and the Dalhousie Presidents’ Office, we held a discussion on their observations. 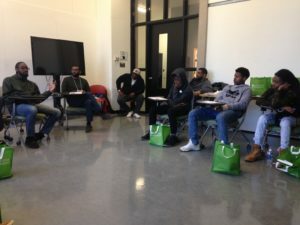 HRM City Councillor Lindell Smith dropped in to meet the students and discuss the responsibilities of holding public office as a member of the African Nova Scotian community; Smith made history in 2016 when he became the youngest councillor and the first African Nova Scotian councillor in over 20 years. Our current Bachelors students Taylor MacIntosh and Ryan Tram also shared their experiences in the BCD program, though by mid-afternoon it was a little more difficult to hold the students’ attention on what was for them a Professional Development day at school. BBI’s Tracey Williams asked the students to answer a few questions so they could evaluate the success of the workshop, and he asked whether they might consider planning as a career; we were surprised when half the students raised their hands! Each of them took home a copy of my edited book Planning Canada: A Case Study Approach, which will provide them with a more thorough introduction to the field, copies of Indigenous community plans completed by our School’s Cities and Environment Unit, and some information about our undergraduate degree. 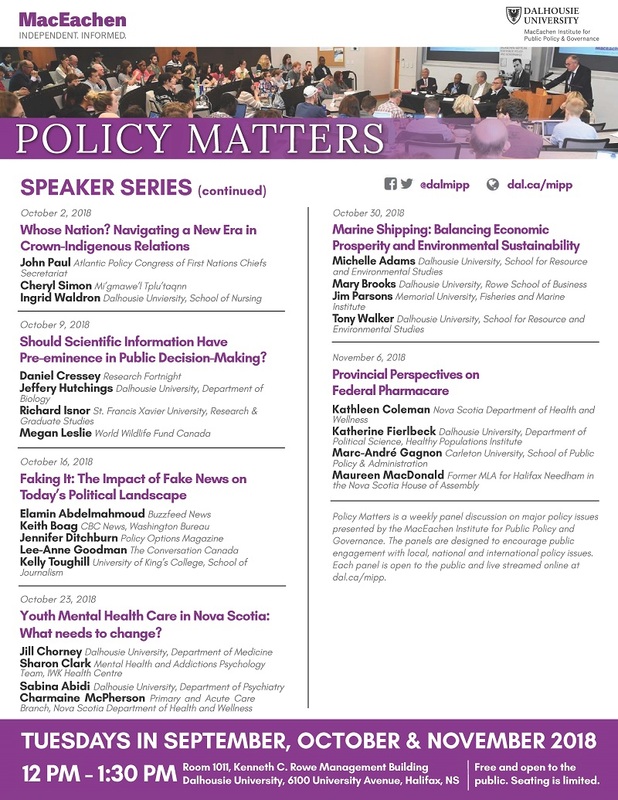 Check out the article about the workshop on the Dalhousie News site here. Next year, Forren wants to hold a summer camp for youth to introduce them to architecture. 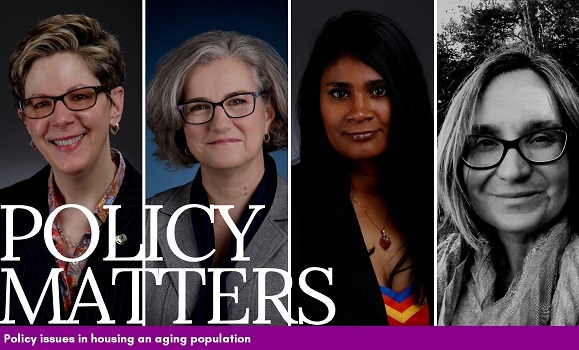 We are strongly considering holding our own for planning, and many of the funders have indicated that they are on board, including a representative from TD Canada Trust and the President’s Office. Eric, Dave and I agreed that, as planning professors, this has been one of the most exciting initiatives we’ve been involved in so far! If we get the chance to do this for an entire week we’ll have time to introduce students to some of the interesting historical planning projects, like Africville and the Cogswell interchange projects which had major impacts on the African Nova Scotian community; social planning aspects like the community-driven initiatives in Mulgrave Park and the Halifax Local Immigration Partnership; transportation work being done by Halifax Cycling Coalition; and the Ecology Action Centre’s initiatives. Students attending both planning and architecture workshops, along with the professors, BBI staff, and funders. Thanks to our Dalhousie photographer Nick Pearce for this shot.